These people get mind oh, wey never mourn 38-year-old Chijioke Obioha death finish that was executed in Singapore for smuggling 2.6kgs of cannabis into the country, another 38-year-old man, Augustine Uchenna, has been arrested by the National Drug Law Enforcement Agency in Lagos for trying to smuggle 10.2kg of cannabis to China, another country that punishes drug importation with death. 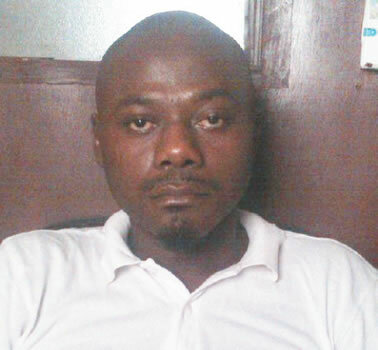 NDLEA spokesperson, Mr. Mitchell Ofoyeju, said Uchenna, a safety equipment trader in Lagos, was nabbed at the Murtala Muhammed International Airport during the outward screening of passengers on an Ethiopian Airline flight to China. NDLEA commander at the airport, Ahmadu Garba, said that the weeds were discovered inside garri, bitter leaf, bitter cola and other spices, which Uchenna said he was travelling with. The suspect said during interrogation that he was simply not aware that drug trafficking in China was punishable by death. Uchenna, an Enugu State indigene said he is married with three children and was desperate to make ends meet. NDLEA Chairman, Col. Muhammad Abdallah (retd. ), said the agency had taken measures to improve screening for narcotics at the nation’s airports. He said, “All countries with death penalty for drug trafficking and source countries are all high risk destinations. The main objective of drug control is to promote public health and security.